** Family consists of Min 3 and max 12 members. After 3 members, each member will be charged additional member fee. 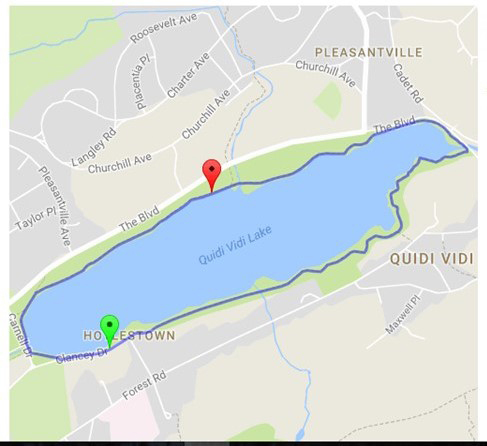 The run/walk will begin at the large parking lot at 6:25pm for the warm up and then proceed on the trail towards the Boathouse. 5K participants will do a complete loop of the lake and end at the Boathouse. There will be a marked turnaround point for those wishing to do a 2K distance. Music, swag purchases, food and your medal will be waiting for you at the finish line! Last year the event sold out so sign up early!! You cannot pick up a kit for someone else if you do not have their signed waiver. Email Kate@craigscause.ca for a waiver. 5K Run/Walk : Saturday September 22, 2018 @ 6:30 P.M. Team Event : Saturday September 22, 2018 @ 6:30 P.M.
Family : Saturday September 22, 2018 @ 6:30 P.M.